I see so many recipes that I want to try. Most get filed away to try later. Every so often one jumps out and says "make me now!" 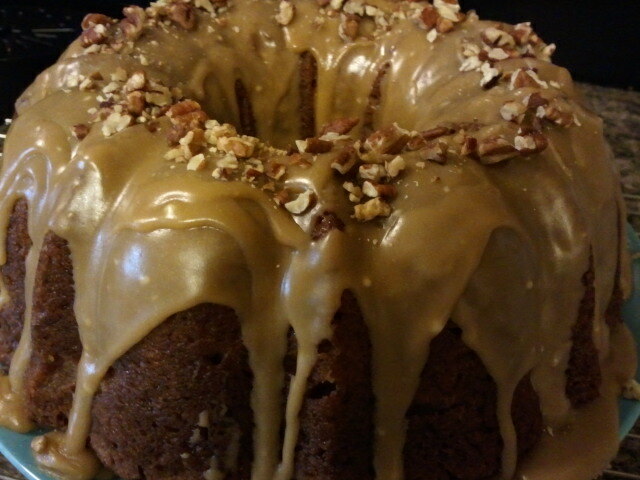 Just seeing this apple cake made my mouth water. I scanned the ingredients and directions and decided to make some changes to simplify it and I'm glad I did. It cut out quite a bit of preparation time and I like to think it made the cake moister. 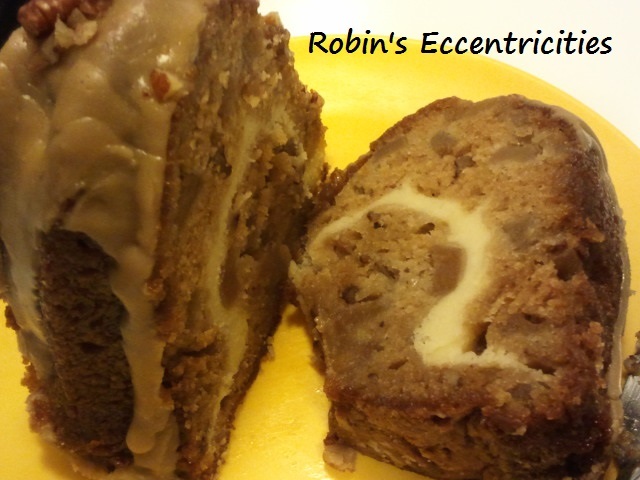 Here is the original recipe at Jenny Bakes. 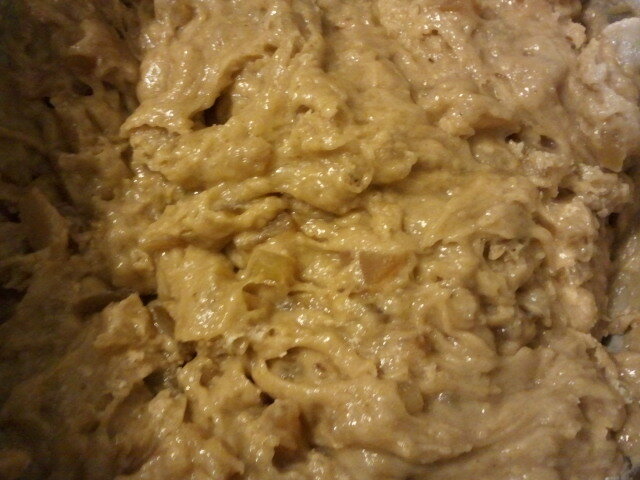 The original recipe uses fresh apple and spices that were already in my canned filling. This recipe would be great in the fall during apple harvest or to take to a family get together. It makes a very large cake! The only issue I had is the size of the pan. I've never actually measured my bundt pan and did not buy it new so I really have no idea of it's size. 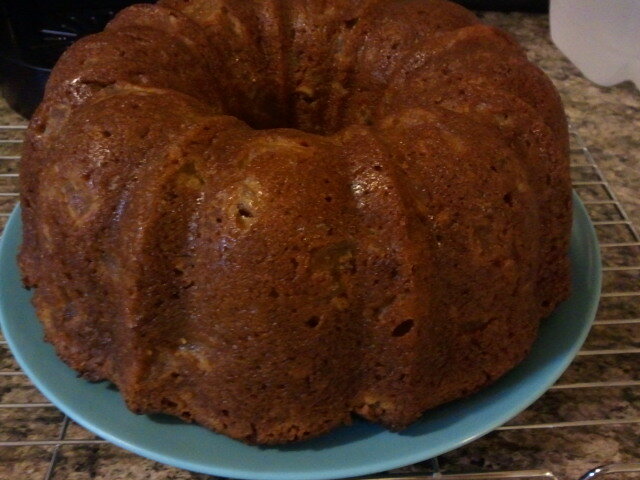 After making this cake I'm guessing it's a 12 cup pan. The recipe calls for a 14 cup pan. I got on Amazon and could not find one that size either. So next time I make this I'm going to reserve some of the batter and filling to make a a couple of small loaf pans to give away. 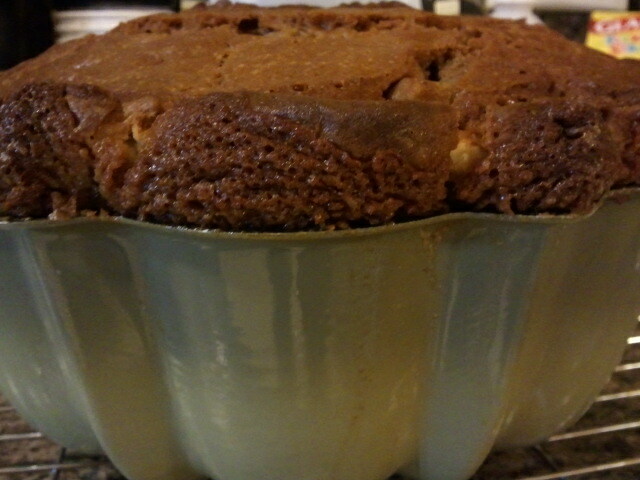 My 12 cup did work but as you will see from the pictures later there was way too much batter for the pan. Another option would be to cut the recipe in half. Now, gather everything up and call a neighbor or someone that could use a big chunk of this so you eat it all yourself. I cut a piece for myself last night and after taking a couple bites realized I was too tired to finish it. I gave it to my husband to finish and he set it aside for later. (I think he was slightly unsure as to whether or not he'd like it.) I woke up some time later to clinking and asked what he was eating. He told me he was going to try the cake and ended up eating the entire piece. He proceeded to tell me it's one of his new favorites. 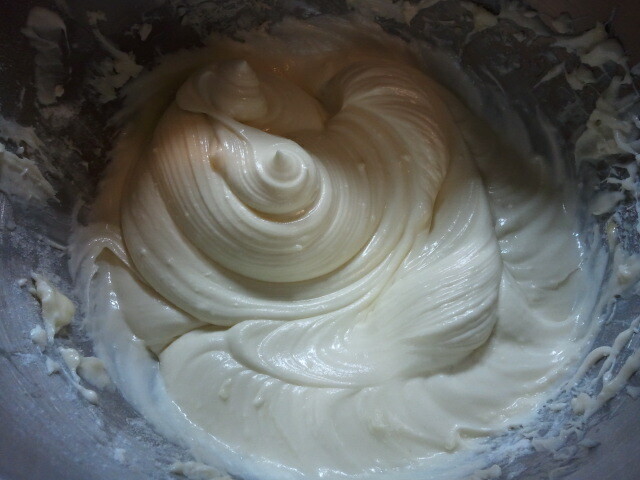 Beat first 3 ingredients at medium speed with an electric mixer until blended and smooth. 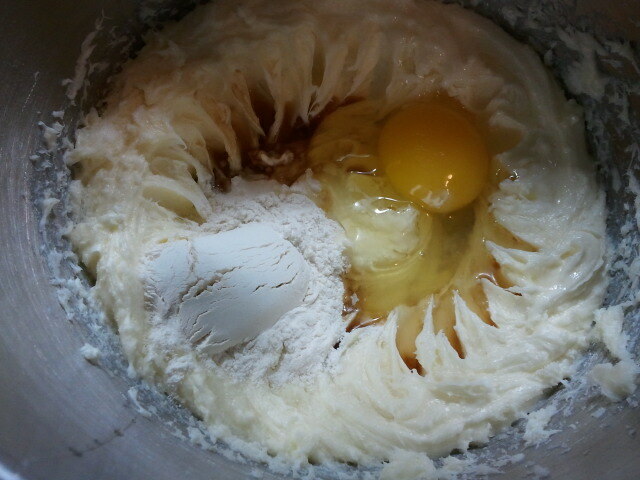 Add egg, flour, and vanilla; beat until blended. 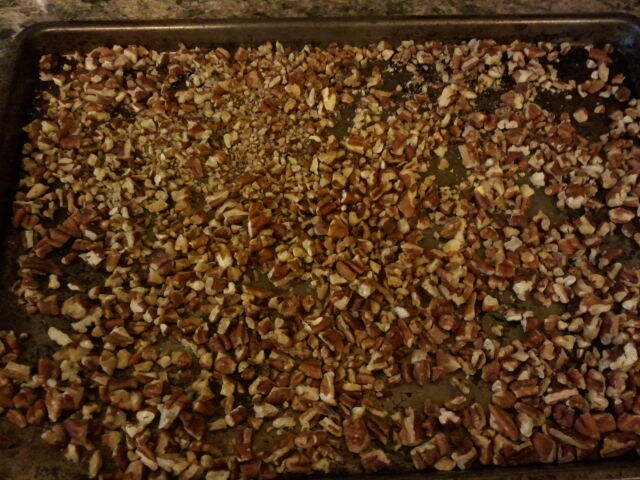 Bake pecans in a shallow pan 8 to 10 minutes or until toasted and fragrant, stirring halfway through. 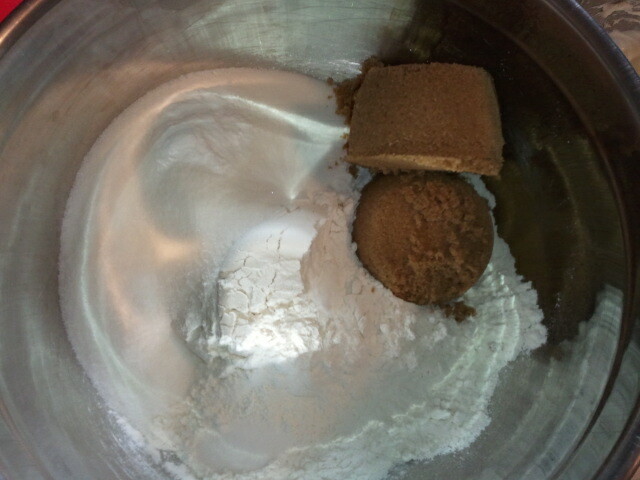 Stir together 3 cups flour, sugar, brown sugar, salt and baking soda in a large bowl. 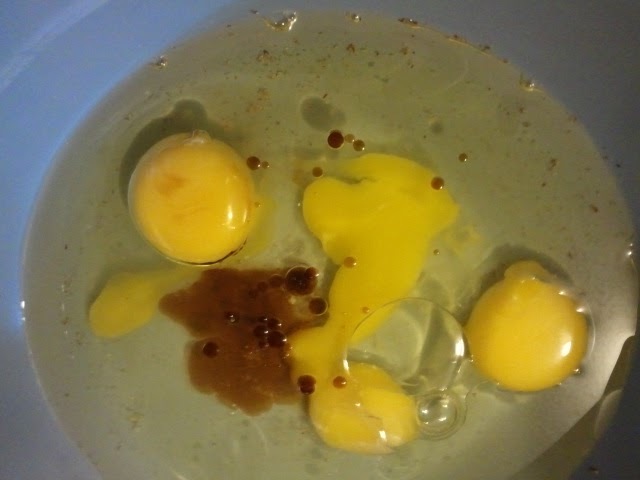 In a medium size bowl add eggs, vanilla, oil and canned apples. Mix together. 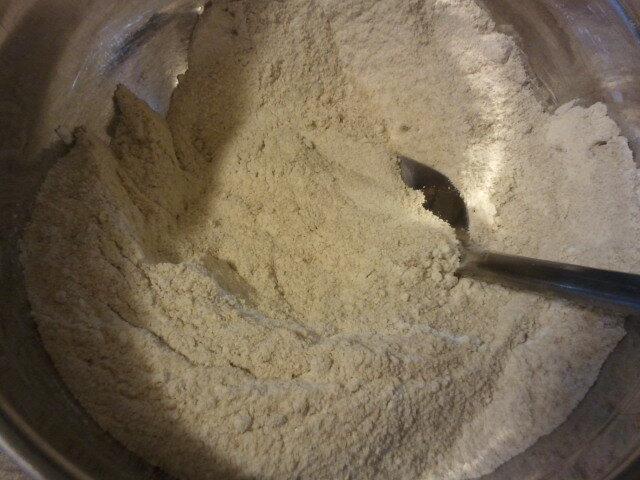 Add all at once to flour mixture, stirring just until dry ingredients are moistened. Stir in pecans. 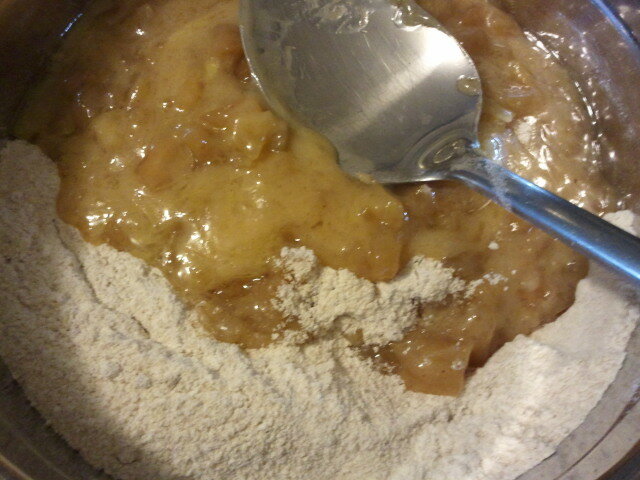 Spoon two-thirds of apple mixture into a greased and floured 14-cup Bundt pan. 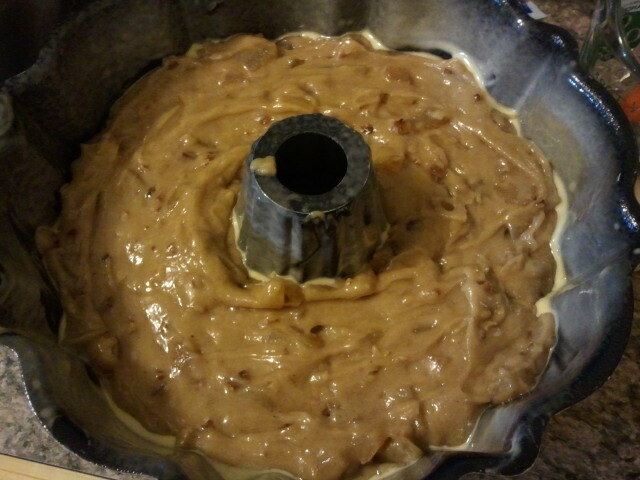 This is where you will need to split the batter up if you don't have a large enough pan. 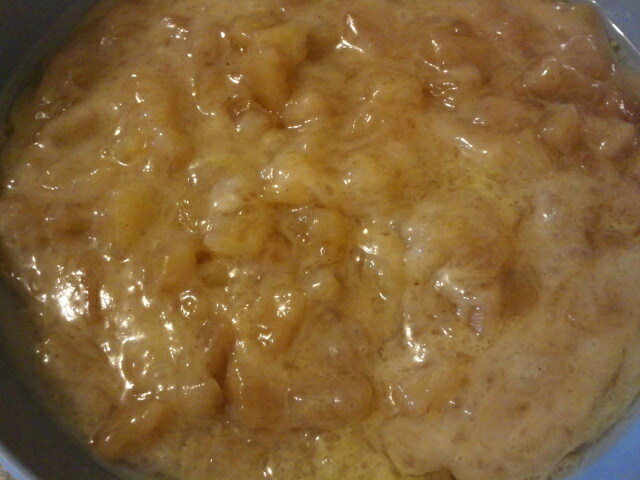 Spoon cream cheese filling over apple mixture, avoiding the edges of pan. 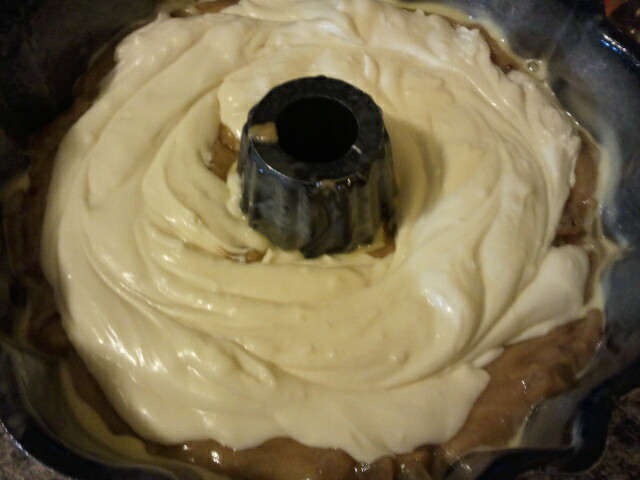 Swirl filling through apple mixture using a paring knife. 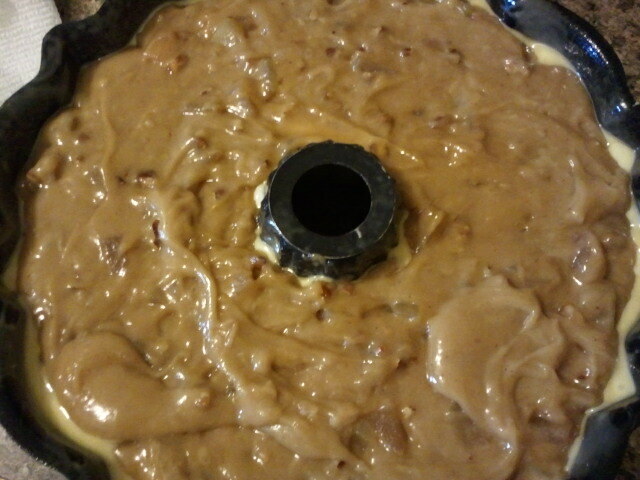 Spoon remaining apple mixture over cream cheese filling. Bake at 350F for 1 hour to 1 hour and 15 minutes or until a long wooden pick inserted in center comes out clean. Cool cake in pan on a wire rack 15 minutes; remove from pan to wire rack, and cool completely. Bring brown sugar, butter, and milk to a boil in a 2-qt. saucepan over medium heat, whisking constantly; bring to rolling boil for 1 minute, whisking constantly. 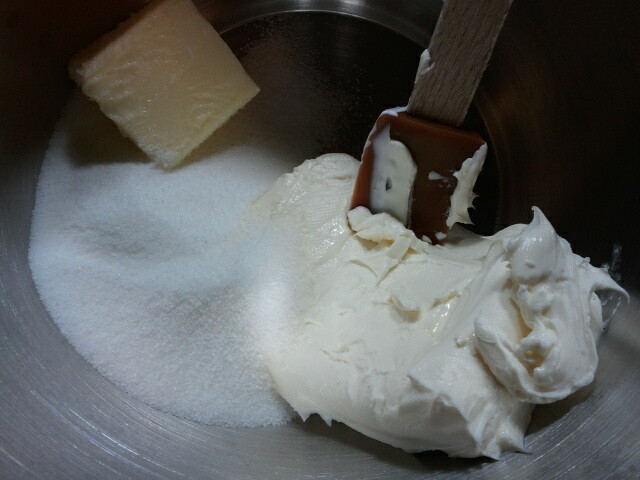 Quickly whisk in powdered sugar until smooth. 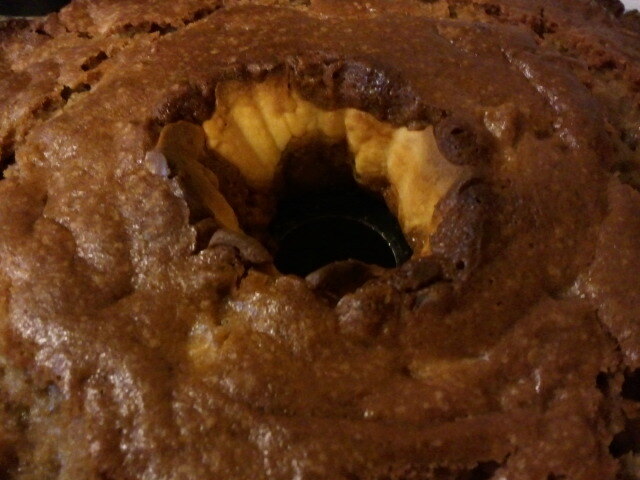 Pour immediately over cooled cake. Quickly garnish with pecan pieces before glaze hardens.